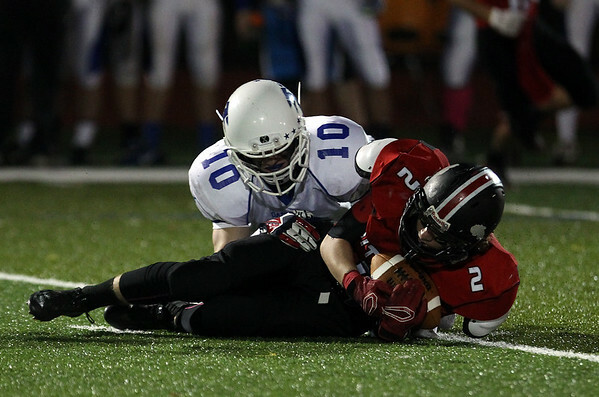 Danvers sophomore safety Matt Andreas (10) drags down Salem senior Victor Cladio (2) to bring up a fourth down. DAVID LE/Staff photo. 10/17/14.